By the time Alastair Cook was done, he had also brought up that century 'is 33rd in Test cricket' before ending on 147. LONDON: England opener Alastair Cook moved past Sri Lankan legend Kumar Sangakkara into fifth place in the all-time Test run-scorers' list during his final international innings. He needed 147 runs at the start of the game to equal Sangakkara, and got almost half the way there in the first innings when he made 71, his first half-century of the series. Cook battled through to stumps on the third day to spark hopes of one last Test hundred, and shortly after drinks on the fourth morning, he inside-edged a drive to the leg-side to move past Sangakkara's mark of 12,400 runs, an ICC report said. He also now stands alone as the left-hander with the most Test runs, to add to a list of records which includes the most runs by an opener in Test cricket, the most consecutive Test matches played, and the most runs and caps for England. 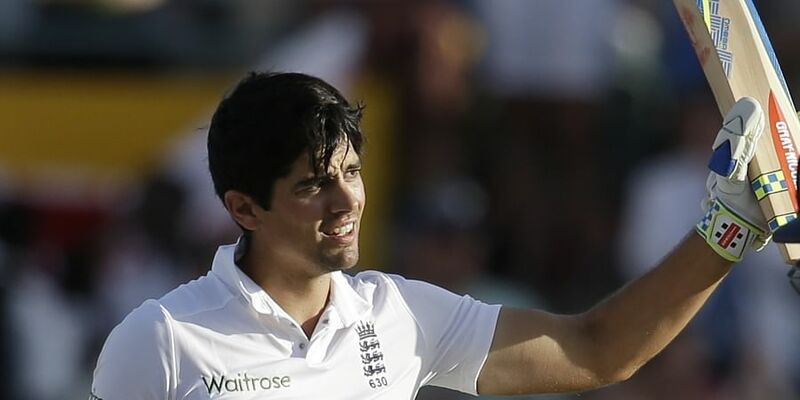 By the time he was done on Monday, Cook had also brought up that century 'is 33rd in Test cricket' before ending on 147. That took his career tally to 12,472 runs, only behind Sachin Tendulkar (15,921), Ricky Ponting (13,378), Jacques Kallis (13,289) and Rahul Dravid (13,288).